That idiom just means there are many opportunities for you. Business English certificates are available through prestigious English language tests and courses, many of which you can complete online or in your local region. There are even some unique options that you can tailor to your own career. We’ll show you five great options for business English certification in this article. With a business English certificate on your CV, there’s no limit to where can you go on your next professional adventure. Why Should I Get a Business English Certificate? Prepare yourself for the modern, cross-cultural business environment. Organizations today are going global and looking further afield in search of great talent. That gives us the opportunity to work with amazing, interesting people from around the world. A business English course and certification is a sure way of elevating your language skills and providing you with the appropriate language to use in global business environments. Impress your future and potential employers. A well-recognized certificate demonstrates invaluable qualities such as commitment, drive and resourcefulness to potential employers. You won’t only impress them with your business English knowledge but also those attributes that organizations look for in talented individuals like yourself. Master industry-related language and terminology. Even if your general English skills are strong, have you ever been in a meeting or discussion filled with what sounds like mumbo jumbo (impossible-to-understand language)? Well, you’re not alone. Taking a relevant business English certification course can help you navigate through business jargon for your industry like a pro. Boost your confidence in business communication. Don’t let self-doubt hold you back from venturing out and doing what you do best. Engaging in a business English course that leads to certification is a great way to boost your confidence in conducting business in English. I know you’re keen to get started, but before we get down to brass tacks (go into more detail), let’s go through a quick guide that’ll help inform your choice of business English certificate. These questions can help you personalize your research as you explore each of the certificate options below. Determine your primary motivation. First, ask yourself, what’s this certificate for? Is it for a personal sense of achievement? Or a requirement for a job or visa application? This is key in helping you decide how much time and financial resources you want to invest in getting certified and ensuring it’s the right one. Narrow down your destination. While a general business English qualification is useful all over the world, certain countries require that you prove your English ability with a certificate that’s recognized by their government or industry. If you need it for a work visa application, check the immigration or embassy website of your destination country to find out which certificates will be accepted. Understand your professional needs. Another consideration is whether you need a certificate that suits your area of expertise. What are your core skills, the skills you want to improve on and the expectations of your profession? Study the syllabus or program requirements to check if it’s in line with what you need to advance your knowledge. Once you’ve chosen a business English certificate to pursue, FluentU is a fantastic tool to build the skills you’ll need for it. FluentU provides real-world videos and dialogues for professionals that’ve been transformed into personalized language lessons. Each video comes with interactive captions, flashcards and exercises to actively build your vocabulary while you absorb native English speech. Since many of the certificates below require both an extensive vocabulary and top-notch listening skills, FluentU is great preparation. There’s content for many professions including sales, marketing, hospitality, logistics, medicine and more. You can also improve your general English skills without leaving FluentU—there are tons of interesting, authentic English videos like movie trailers, news reports, inspiring talks and more. You can check out the full FluentU program for free with a 15-day trial. 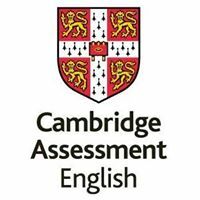 Cambridge English Qualifications is a widely recognized brand in English-language certification. The business English qualifications can be taken at three levels: B1 Business Preliminary, B2 Business Vantage and C1 Business Higher. The programs are designed to reflect the different phases of your career. B1 demonstrates basic business English competence, while B2 demonstrates business English proficiency and is a great option when applying for jobs. C1 is the most advanced, demonstrating that you can communicate at senior levels in professional English. If you’re unsure about which level you should take, try a free test to evaluate your current level. You can also access free sample tests and preparation materials to give you a better idea about which certificate would best suit you. Remember, you’re taking a certificate that’ll show your future employers what you’re capable of, so this is a good moment to step out of your comfort zone and challenge yourself! 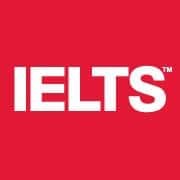 IELTS is an official English certificate that can be used for work and migration to English-speaking countries including the U.K., Australia, New Zealand, the U.S. and Canada. There are two categories of IELTS exam: one for academic purposes and the other for general training. The General Training certificate determines your language proficiency in practical business and social contexts, so it’s the best option for working professionals. 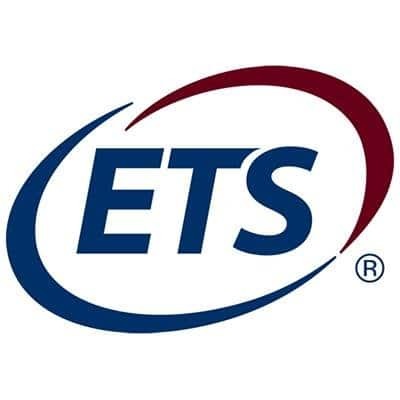 You can search for specific employers who accept IELTS from this page. The IELTS certificate might be especially useful in sectors that require daily human interaction including medicine, engineering, tourism and finance, just to name a few. Depending on which country you’re planning to move to, IELTS is also accepted for visa language requirements. Visit the official site to find out where and how to register for IELTS. While the TOEFL test is more geared towards academic English, it’s useful to note that TOEFL is a preferred qualification in the U.S., especially if you’re planning to further your professional qualifications in a university there. It’s an especially useful option if you’re seeking a professional license in an English-speaking country, such as a license to practice medicine. Many licensing agencies accept TOEFL as proof of English skills. More generally, TOEFL helps you express opinions and understand complex information. These skills are invaluable in any business environment. While they’ve adjusted their content to include listening materials containing a variety of accents, TOEFL predominantly uses North American English. This is a good option to consider if you’re heading in that direction. However, like IELTS, the TOEFL can be used to satisfy language requirements on visas for Australia, New Zealand and U.K. migration. You can find plenty of TOEFL preparation resources on the FluentU TOEFL blog to help you understand the structure of the exam and determine if it’ll be useful to you. 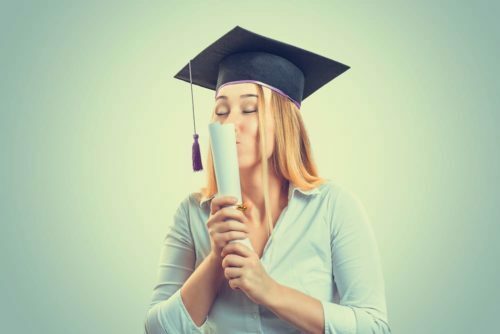 Course certificates from English-language universities are a great addition to your profile, especially if they’re focused on specific aspects of English communication for your industry. Many universities offer credentials for specific areas such as entrepreneurship, finance or economics. Best of all, reputable university certificate programs are easy to find on Coursera, a popular online education platform. 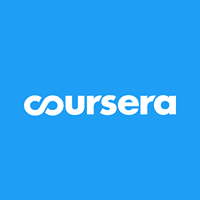 Coursera partners with universities worldwide to offer a wide range of courses, including many related to business English. After completing a Coursera class, you’ll earn a certificate that demonstrates your knowledge to your business network and potential employers. Arizona State University’s finance and economics business English course: This six-week course guides you through common business situations in finance and economics. You’ll learn how to create presentations, reports, emails and other effective communications for the field. You’ll even get feedback from other finance professionals. University of Washington’s business English networking course: This five-week course emphasizes language for successful business networking and socializing. It’s a great option if you’re looking to expand your business connections in the English-speaking world, or if you’re pursuing work in an industry with lots of personal interactions. Consider investing in a professional certification that’s in demand in your industry or field of work. Professional certifications are invaluable in giving you an edge above your competition and are proof of your expertise and knowledge in your field, be it engineering, medicine, project management or finance. This is a great way to prove to prospective employers or business partners that you’re not only an expert in your field but also have the necessary command of English to be able to perform in that area. For example, if you’re a project manager, a Project Management certificate such as PMP isn’t just a great addition to your skillset but also a testament to your excellent English—thus killing two birds with one stone (achieving two aims at once)! Or if you want to show off your accounting chops (capabilities), there are options such as the Chartered Institute of Management Accountants certification that’s recognized globally. CareerOneStop has a Certification Finder where you can search for professional certifications that are relevant to your job. So get out there, upgrade your skills and be ready to impress! There’s a thrilling new opportunity out there with your name on it. Good luck and keep learning!